Perhaps the most popular target for ice anglers venturing out into the cold is bluegill. These common panfish are relatively easy to catch, put up a nice fight on ice tackle and taste amazing batter-fried in oil. Finding bluegill isn’t very difficult, but when you’re drilling holes in the ice, it’s helpful to have a plan. Here are four tips to help you get a head start on the bluegill bite early in the ice season. Just like the warmer seasons, cover such as weeds and submerged trees will be meccas for bluegill beneath the ice. If you have an underwater camera, use it to check the pockets and the edges of vegetation first. Then, once you find some weeds, drill your holes in a zig-zag pattern over the area, from shallow water to the deep edge. Just because the shallow water cover is popular, don’t let that keep you from venturing out onto open-water ice. 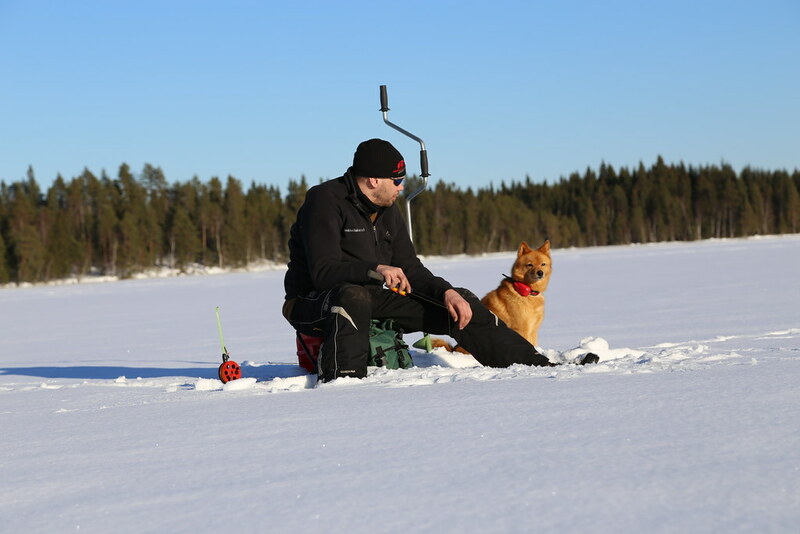 Some lakes offer a good open water bite, even very early in the ice season. The key here is locating grass on the lake bottom. When the sun is out, bluegill love to set up shop deep in these areas and then as the sun dips later in the day, they’ll move upward in search of food. Live bait like wax worms and other small grubs are very popular and effective, but when the bluegill bite is on, it’s hard to beat the appeal of small plastic baits. It’s best to let the bluegill tell you what they want, too, so pay attention to what baits are getting bites and then use a jig that matches what the fish are biting. Make sure, too, that the hook you’re using is large enough to hold a decent sized bluegill. Bonus Tip: Start with the smallest possible bait first and then increase the size if you’re starting to catch bigger fish. I know that the large limit and potential action through the ice make the notion of packing up early seem ridiculous, but it can make a big difference in the overall bluegill bite on a given lake, especially if there are big ‘gills there. Odds are the number of big ‘gills will be limited enough to be worth conserving so that there’s a healthy variety of bluegill in the lake at all times. If you want the great bluegill action on your lake to stay that way, take fewer fish home and spread the action across several seasons.